The Ultimate Nutrition Strategy | LoDo Media, inc. 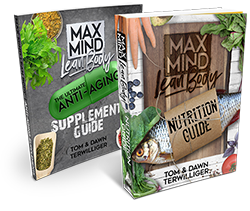 The Ultimate Nutrition Strategy contains extremely comprehensive guides to hunger override tactics, healthy eating strategies and anti-aging supplements for getting fit and lean over 40. Once you complete the simple order form below you'll receive an email with your login details and gain instant access to all content plus several special bonuses so you can start moving forward today. Tom has taken the lessons learned from athletic competition (and there are many) and translated them into a step-by-step model for eliminating the roadblocks to success. I thought owning my own business was my biggest obstacle to getting and staying fit. Instead, it was the way I thought about my body and my business that was the obstacle. Now I rock both!